There are few things that make a parent prouder of their child than when they see them showing kindness, compassion and generosity. If children are able to learn those important values early on in life, it should follow that they retain them as they get older. Alas, children, as we all know, can often be a rule unto themselves. 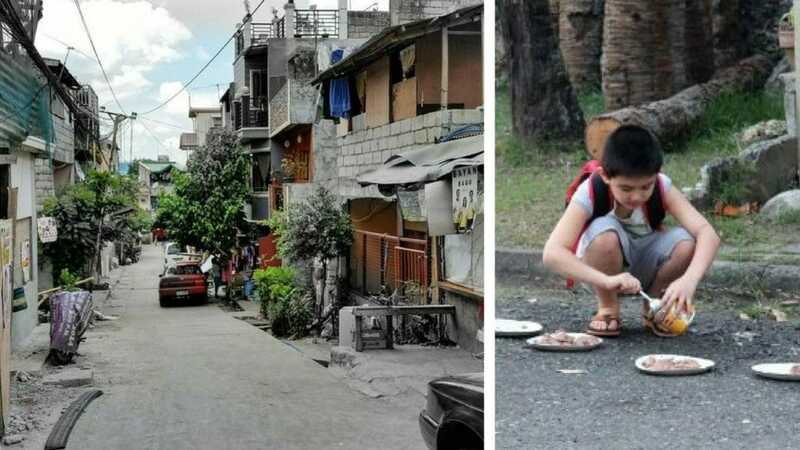 You’ll find few better examples than the case of 9-year-old Ken, a boy from a remote city in the Philippines. 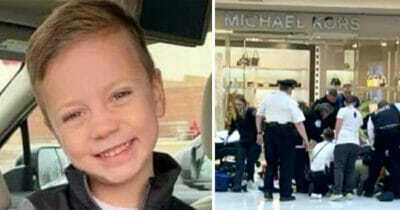 Every day he would leave the house to go for a walk, without explaining to his father where he was going. His father trusted him, but one day grew curious as to what exactly his son was doing when he routinely wandered out of the house. 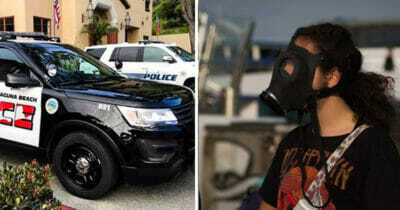 Without making his intentions clear, the dad decided to follow his son and take a look at what he was up to. What he witnessed made his heart melt. It also filled him with sorrow. As it happened, Ken was embarking each day on a heartbreaking mission. His dad, after tailing Ken, soon realised that the boy was sneaking off to feed street dogs. 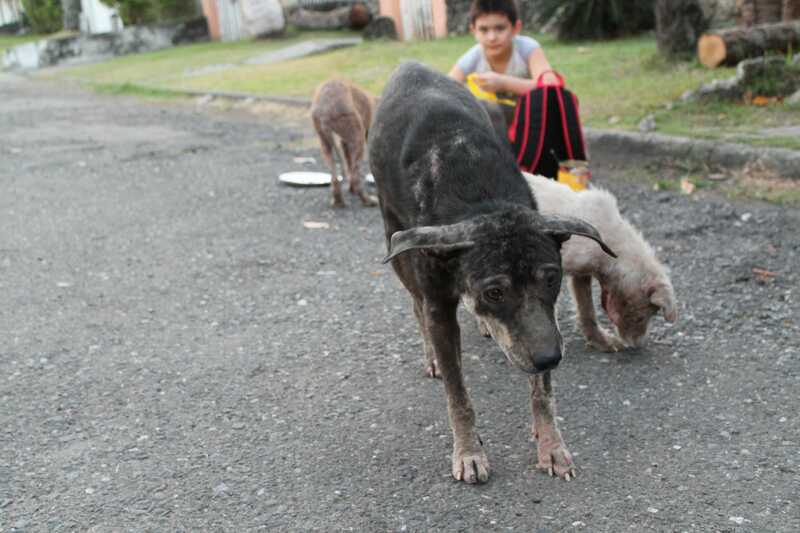 Dozens of malnourished, stray dogs would flock to the 9-year-old. 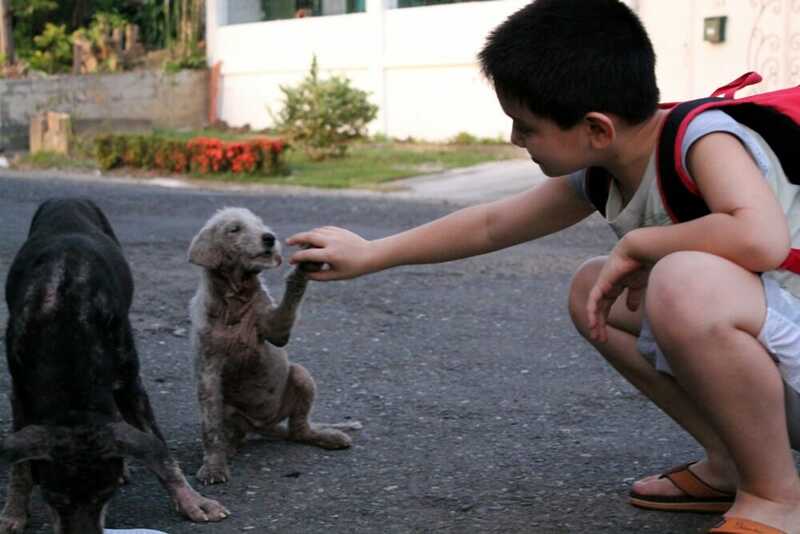 Their tough and hardy lives on the streets had made many of them afraid to approach humans, but they had obviously formed a bond of trust with this friendly little boy. Apparently, Ken says that the dogs had slowly grown used to him over the course of his visits. 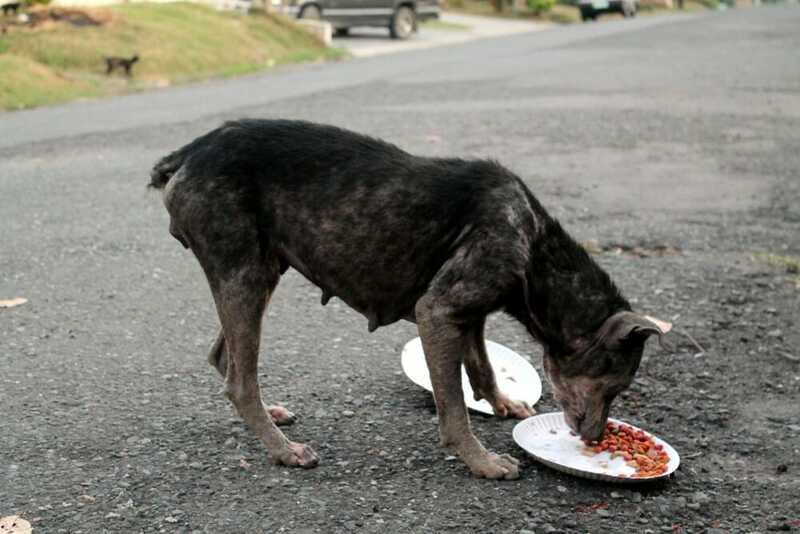 The first time he went there with food, he was forced to stand 50 metres away from the bowls he left, because the dogs would not approach them while he was there. Now, though, Ken can go as far as petting some of them. After taking some pictures of his son, Ken’s dad set down his camera and began to help. Because of the possible diseases and infections that street dogs can carry, both father and son have been vaccinated, and always take care with regards to their hygiene when spending time with the animals. Together, they named three of the dogs they met each day; “Brownie”, “Blackie” and “White”. It appears that “Blackie” is the mom of the other two. Despite struggling with her own health, “Blackie” stayed to protect her puppies when she could have easily made good on her own. 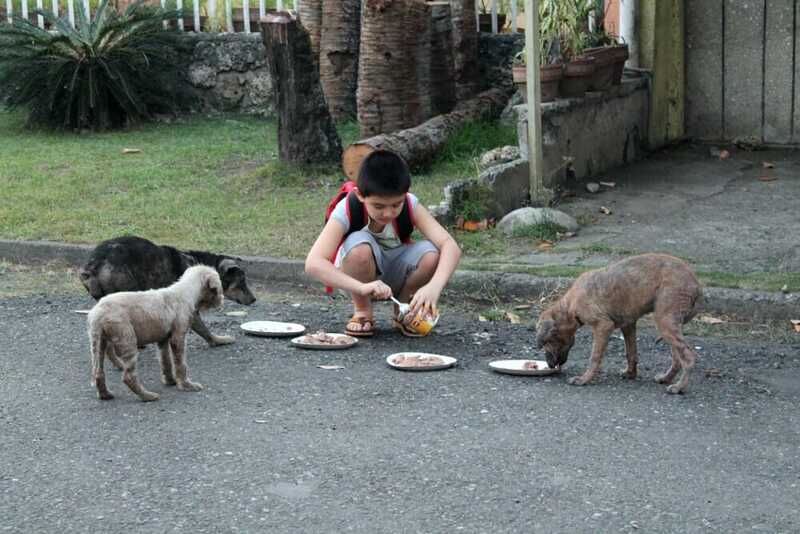 Ken and his father decided to do something good for these poor dogs. Ken, in particular, wanted to make an effort for the animals that nobody else cared about. Together, the father and son started a volunteer organisation that helps homeless dogs in the area. 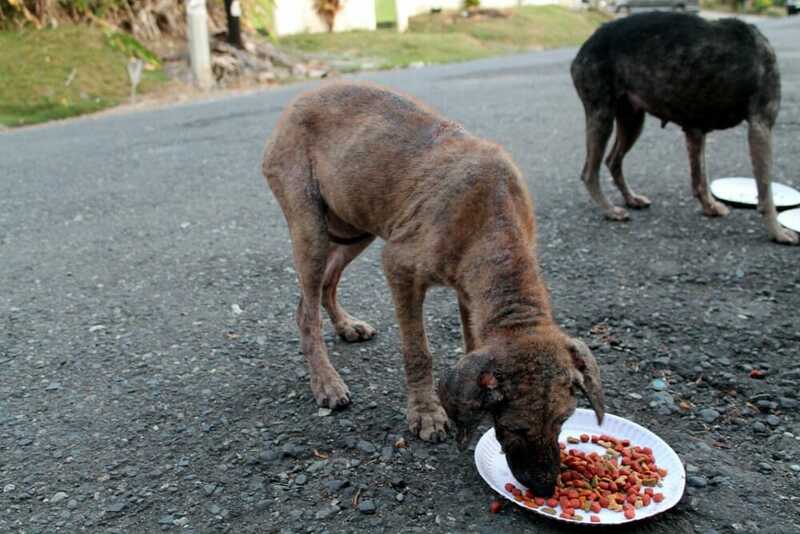 They simply couldn’t just stand by while street dogs starved and died. 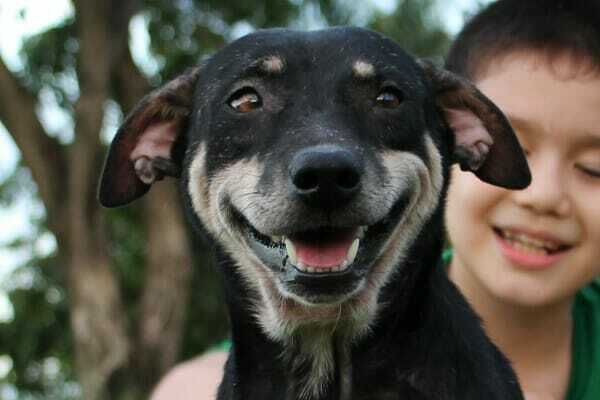 They named their project ‘Happy Animals Club’, and it has since become a success. 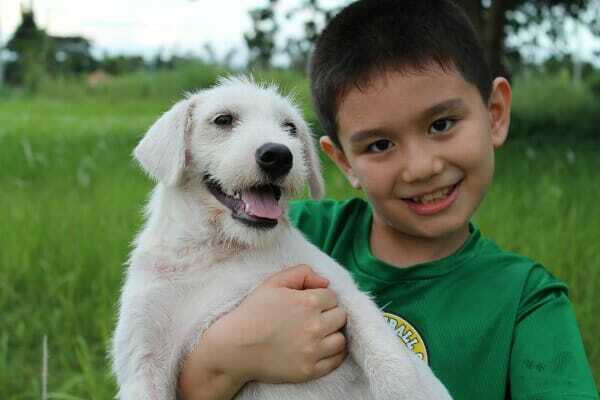 Ken’s father bought a sizeable patch of land near his home and built one of the largest dog shelters in the area. 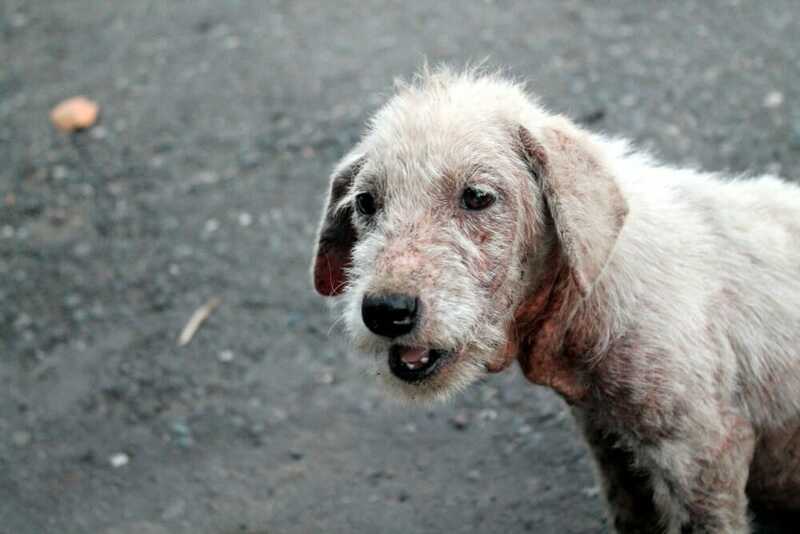 As a result, they’ve been able to save hundreds of dogs and cats from a life of misery on the streets. What a hero you are, Ken! I don’t know about you, but I’m certainly moved by this story. Look at “Blackie”, “Brownie” and “White” today – their transformation is nothing short of incredible. 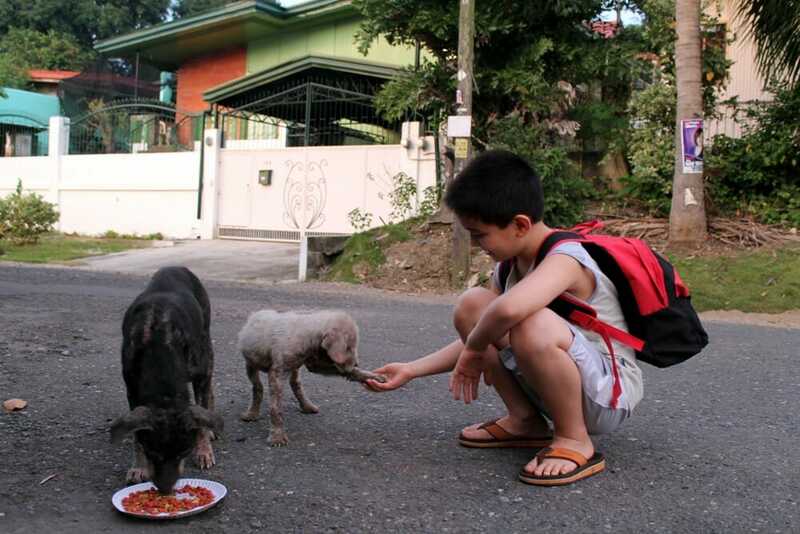 This 9-year-old boy has proven that no one is ever too young to make a difference! 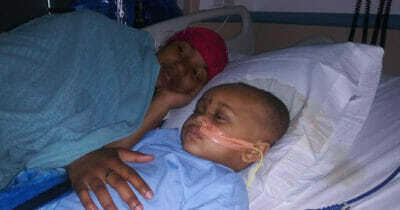 The people around him have clearly done a good job of educating him on the importance of care and compassion. He’s certainly a son his father can be proud of. Please share this story on Facebook and let’s help Ken get the recognition he deserves for changing the lives of countless animals.